As an island nation, fish has always played an important role in the diet of the islands' inhabitants including the Amerindians, the early English settlers and Barbadians today. 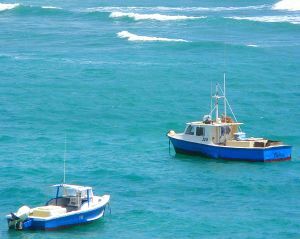 Thousands of Barbadians work in the fishing industry as boat builders, fishermen and vendors. The fishermen head out in traditional colourful fishing boats sometimes spending several days at sea gathering their catch. At the fish markets vendors skillfully clean, skin and portion the fish for sale to customers. Some fish, such as the small red snapper, can be purchased whole. Flying fish (part of our national dish) is one of the most popular catches. Other favourites are marlin, king fish, bill fish, mahi mahi, swordfish and tuna. Fish are seasonal, so ask the vendors what's in season when you visit. You'll find the vendors very friendly and accommodating, willing to answer your questions, make recommendations and portion the fish according to your needs. Barbados fish markets are administered by the Ministry of Agriculture, who enforce high sanitary standards. One of the most popular markets is the Oistins Fish Market (Berinda Cox Fish Market). If you're staying on the south coast of the island, this is the place to go. This mid-sized fish market always has a wide selection of the freshest fish. It is located next to the popular Oistins Bay Garden where you can enjoy grilled and fried fish served with delicious side dishes! The Bridgetown Fish Market is very popular with locals. Located on the outskirts of the capital city, Bridgetown, this large market offers a wide selection of fish. 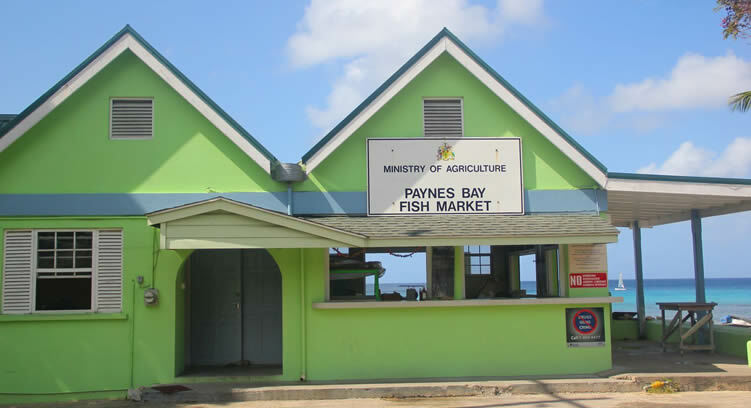 If you're staying on the west coast of the island you can choose from fish markets at Speightstown, Six Mens Bay and Paynes Bay. Of these, Six Mens has the widest selection. Both Six Mens and Paynes Bay boast beautiful beachfront locations. On the east coast of Barbados is picturesque Tent Bay, where you can watch as the fishermen battle the waves of the Atlantic Ocean to bring in their catch. Smaller markets can be found at Conset Bay and Skeetes Bay.